Jewish Educational Media publishes a series of videos about the Lubavitcher Rebbe. The series is called Living Torah. When the Belzer Rebbe came to Berlin to see an eye doctor, so the Lubavitcher Rebbe told Itzche Meir "You know what, I hear the Belzer Rebbe's here. I would like to see him." And, uh... so they went, they knew where he was staying, they went, the two of them went up and the [Belzer] Rebbe was standing with closed eyes because he couldn't, he had problems with his vision and the people were in line giving Shalom one after another and he had on his hand a towel and that's how he gave Shalom, with... through the towel. And one of... Itzche Meir gave Shalom; then the [Lubavitcher] Rebbe gave Shalom. When the Rebbe gave him Shalom he looked up, maybe opened his eyes, and he took off the towel and he gave him Shalom with the hand. Everybody there was astonished: he made an exception here. So they started to ask Itzche Meir "Who is this? Who... who is he?" So he said "He's the eidim [son-in-law] of [the sixth] Lubavitcher [Rebbe]." My question is, what is this towel for? Was it related somehow to Tumah and Taharah? If this question is not too personal, what is it that everyone else was doing, that the Rebbes in the story were not doing, that explains that the one would shake the hand of the other directly? 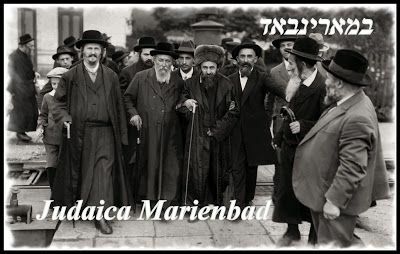 The fact that Menachem Mendel normally shook the hands of other people is no objection? And why a towel rather than a glove? Not the answer you're looking for? 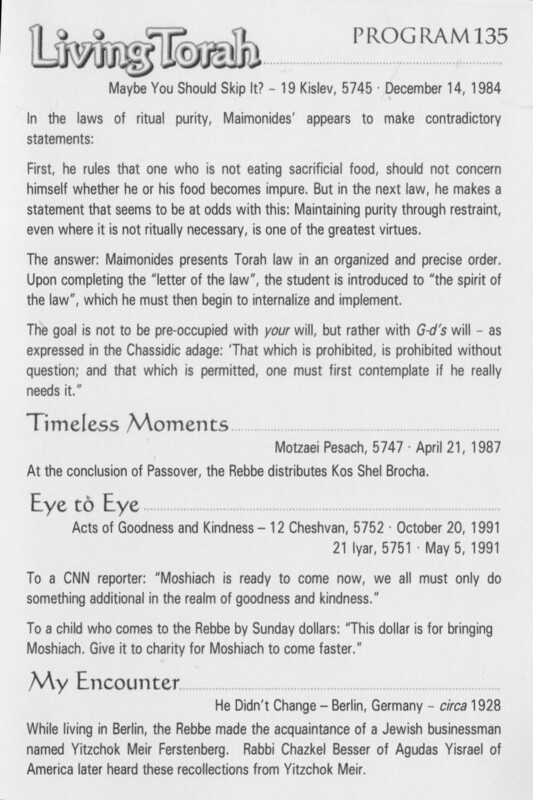 Browse other questions tagged history chabad chasidut-hasidism tamei-tahor-ritual-purity .